Before the Great Depression of the 1930’s and 1940’s, there were a number of depressions and recessions in this country, two of the most notable being the Panic of 1819 and the depression of 1837. In every instance prior to the Great Depression, the government policy was essentially a policy of hands-off. Which was exactly as it should have been, since depressions are not caused by the private sector but by government interference in the marketplace, and only that. What were the results of these hands-off policies prior to the Great Depression? Answer: a drastic reduction in the amount of time the depression lasted. Let us reiterate and emphasize that the only way to create wealth and jobs is through production. That is why capitalism, true laissez-faire capitalism, is the only possible way to end an economic depression or recession. Government spending will always compound problems. Why? Because government can only obtain money by taxing or borrowing or printing. Always remember: government by definition is not an agency of production: it is a mechanism of force. That is its defining characteristic. Thus the money that government takes away from the private sector depletes money that would otherwise have by choice (as opposed to by coercion) been saved or spent upon other things. Private money, in other words, is diverted from the capital sector into the hands of bureaucrats. Which is exactly the thing that exacerbates and prolongs the preexisting economic problem. It is so very easy to spend money that is not yours, money that you’re not fully accountable for, money that you obtain through force or the threat of force. Whereas, on the other hand, cutting governmental borrowing and spending and taxation and printing, it frees private money and private resources, which in the end is the one and only thing that can produce genuine wealth. Printing more and more money to cover the cost of government spending will only ever bring inflation. It can happen in no other way. Economic law cannot be abolished, just as mathematical law cannot be abolished, and for the exact same reasons. It doesn’t even matter how many politicians wish to abolish these economic laws, or how charismatic the masses find these bureaucrats: economic laws will not be subverted. One might just as well try turning back the tide with one’s own two hands. Stop the inflationary process that fiat money (i.e. money printing) inevitably brings. Deregulate private enterprises so that the private sector can function – which is to say, free the market so that businesspeople can start up businesses, produce products, and create more and more jobs. That’s all there is to it. And yet it’s a pill that bureaucrats simply cannot swallow. The depression of 1837 was the biggest depression this country had seen prior to the Great Depression. The good President Martin Van Buren and his administration did exactly the right thing: they stepped back and let the market correct itself, which indeed it did, so that the depression lasted less than a year. 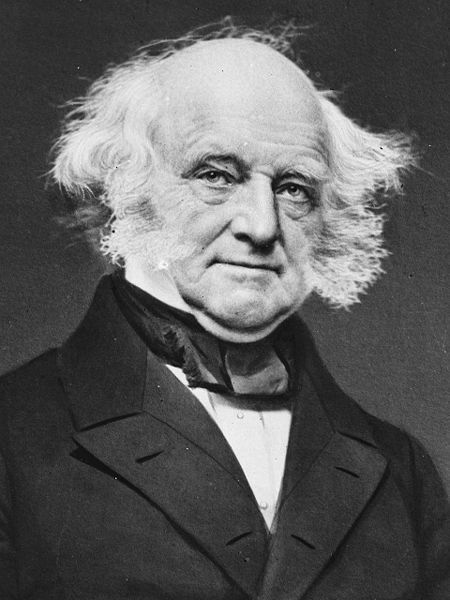 Martin Van Buren stated in his inaugural address that he advocated a policy of laissez faire. Two months later, the United States experienced a banking crisis. President Van Buren stuck to his guns. “All but six of the nation’s eight hundred or so banks had ceased redeeming their bank notes in gold or silver, but in his first message to Congress the President proclaimed that his policy would be one of governmental retrenchment” (Dr. Thomas Dilorenzo, How Capitalism Saved America, p. 158). President Van Buren added that the solution is “a system founded on private interest, enterprise and competition, without the aid of legislative grants or regulations by law” (James D. Richardson, A Compilation of the Messages and Papers of the Presidents, New York: Bureau of National Literature, 1922). It should be noted that Van Buren had to fight every step of the way against governmental intervention by such notable statists as Daniel Webster, Henry Clay, and the young Abraham Lincoln, all of whom remained statists until the day they died. President Van Buren waged a tireless war for deregulation of finance, and he thereby created the Independent Treasury System in which all bank notes were redeemable in gold and silver. In so doing, he brought this country the strongest and most stable monetary system it’s perhaps ever had. Conversely, interventionists like Henry Clay and his young protégé Abe Lincoln saw this economic downturn as a political opportunity to create pork-barrels for so-called internal improvements. Sound familiar? These same statists also attempted to get the federal government to bail out the states, but President Van Buren fought them tooth-and-nail and eventually won; so that government spending actually fell during his term, and the debt remained steady, the free-market price system allowed to operate without intervention. That is why the depression of 1837 lasted only one year. That is why it never spun out of control, as today’s crisis has. 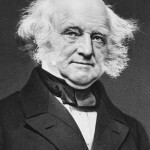 By refusing to pile up debt, President Van Buren thereby refused to drag out the economic downturn, which by necessity steals money from the private sector. Compare that to, in the next chapter, the brief but by-no-means exhaustive list of extraordinarily destructive policies followed first by Herbert Hoover, who was an admirer of Soviet Russia and “believed that human manipulation could triumph over any alleged ‘laws’ of economics,” and then the even more brutal Franklin Delano Roosevelt, a discussion of whom will come in the chapter after the next. A revelation – now I know why they call Obama a socialist, but in actually fact he is a statist/corporatist/fascist. The health care bill wasn’t very socialist, Kucinich called it a bailout for the insurance companies. And now the Republicans want to compromise on it and get it through so it can deliver a monopoly to the insurance industry. Too bad the tea party movement is getting hijacked by Beck – didn’t he and Oreilly call for higher taxes??? Does that make Grover Noquist a useful idiot? Man I gotta start a blog. Yeah, kind of, I guess it does. Speaking of whom, I discovered only after the fact that Grover Norquist has a book with the exact same title as mine. Talk about a stake in the heart.